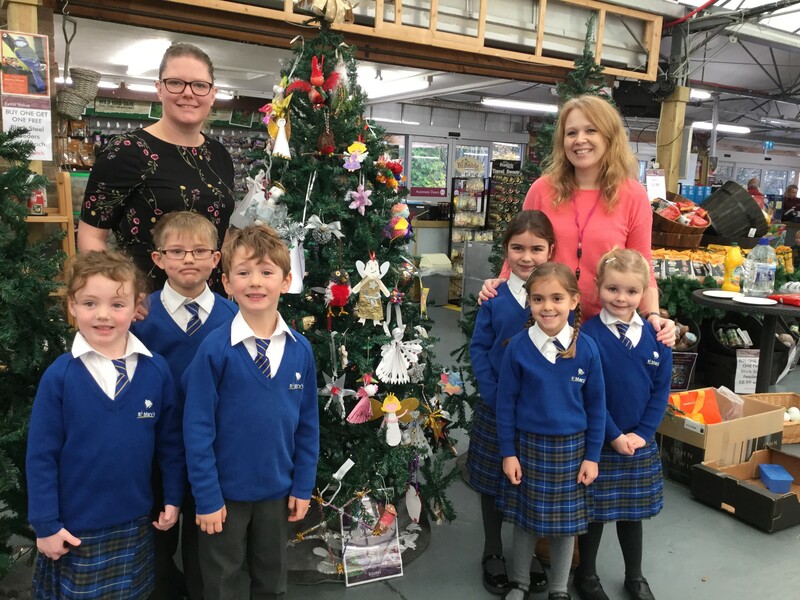 St Mary’s Infant School in Frensham has won first prize in the “Decorate A Christmas Tree” competition at SQUIRE’S GARDEN CENTRE FRENSHAM. Children from the Woodpeckers, Kingfishers and Goldfinches classes at St. Mary’s beat off local competition to win the Best Decorated Tree as voted for by Squire’s Frensham customers. The children had to design and make their own sparkly tree decorations, and hang them on a special tree at Squire’s Garden Centre in Reeds Road Frensham. Their creative success is rewarded with goody bags for all the participating classes.